The first iteration of the BLDS Information Literacy M&E toolkit has been released. 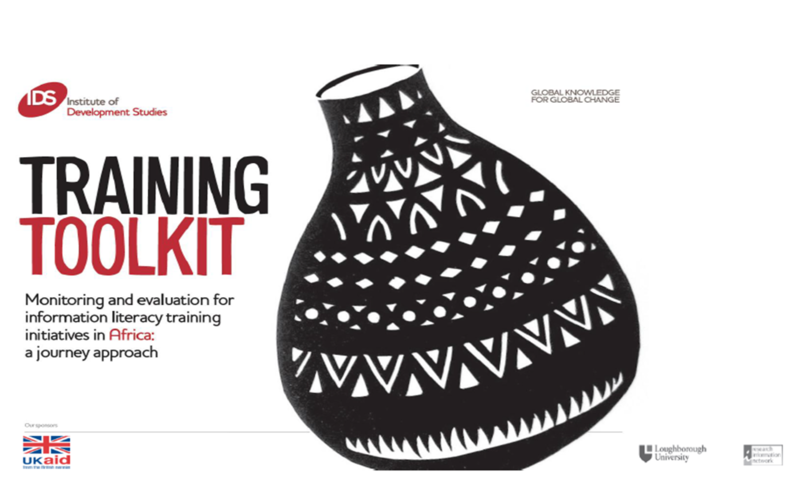 The toolkit is based on research commissioned by the information literacy training programme of the British Library for Development Studies (BLDS) at the Institute of Development Studies (IDS) and funded by the Department for International Development (DFID). This toolkit is the product of a consultative workshop held in Centurion, South Africa in February 2012 with participants ABC Project Kenya, Aga Khan University Kenya, University of Botswana, Ethiopian AIDS Resource Centre, the Information Training and Outreach Centre for Africa (ITOCA) (South Africa), University of Johannesburg, Knowledge Leadership Associates, University of Malawi and Savana Signatures (Ghana). We were delighted to collaborate with the wider participants, the BLDS, the Research Information Network and Loughborough University in producing the current version.